As most everyone knows, Amanda Knox, who was acquitted in 2011 for the murder of British student Meredith Kercher after initially being found guilty and spending almost four years in prison, was recently retried after the prosecution appealed to the Italian Supreme Court. While Knox returned to the U.S. immediately following her acquittal, the Italian court proceeded with a third trial and returned guilty verdicts on January 30, 2014, sentencing her to 28 years in prison. While this sort of proceeding is not uncommon in Italy, or the rest of the world for that matter, it is disquieting to Americans who are used to the mostly iron clad protection of double jeopardy that is proscribed by the Fifth Amendment of the United States Constitution. 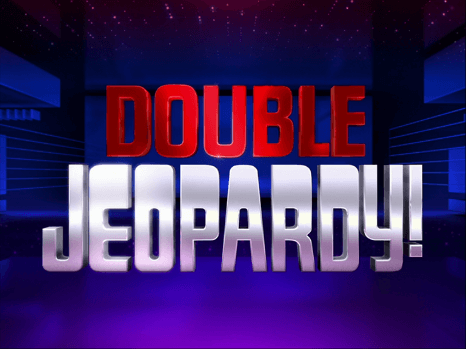 Double jeopardy is essentially a procedural defense that forbids a defendant from being tried again on the same, or similar charges following a legitimate acquittal. If Amanda Knox’s trial had taken place in the U.S., then her acquittal in 2011 would have been the end of things. The fact that things did not end there is causing distress for Americans and an outcry that Double Jeopardy should have barred the retrial. But does double jeopardy really apply in this case, and if so, how? To be perfectly frank, the fact that the U.S. has a specific law regarding the charging of defendants more than once for the same crime has no effect on the legal system in Italy. In Italy a guilty verdict in a serious case is not regarded as a definitive conviction until the accused has exhausted the appeals process, irrespective of the number of times the defendant has been put on trial. As much as it might irk our sense of fairness and due process, there is little that can be done in that regard. While double jeopardy will have no effect on the legal aspect of the Knox case in Italy, it may play a pivotal role of whether extradition should be invoked here in the United States. One of the biggest issues facing Amanda Knox is the extradition treaty that currently exists between the United States and Italy. The U.S. Government’s requirements for international cooperation in its own extradition requests will likely weigh heavily on its decision whether to extradite Knox to Italy, despite public opinion. According to the treaty with Italy, in order for either country to extradite someone convicted of a crime, the offense must be a crime in each country. Obviously murder is a crime in both, but the question is whether it remains a crime in America for the purposes of extradition when the person was previously acquitted of the crime. If not, was the double jeopardy clause violated and would that violation of the U.S. Constitution trump the extradition treaty? If you would like to learn more about the Amanda Knox case and related legal issues, check out these articles for more information.